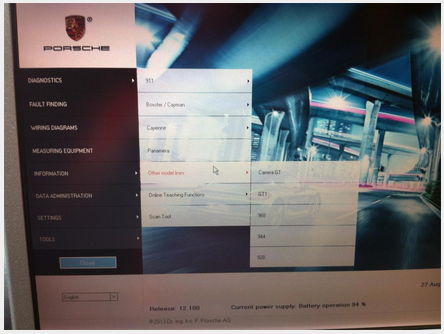 Piwis Tester II v12.100 Version released today! 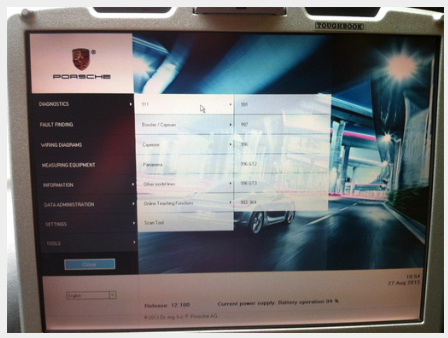 In this new version we can find the latest type Porsche car which is able to be diagnostic till 2014 year. This is 2013.4 version software. If you purchased the old version from us, we can provide you upgrade DVD, after you received it, just put the DVD into DVD Rom of your Panasonic CF-30 laptop, then click the upgrade menu in the software, then you are able to upgrade your software with ease. 4. Once the upgrade finish, please restart the laptop without checking any software. 5. If upgrade failed, please do not worry, contact with our online customer service immediately. 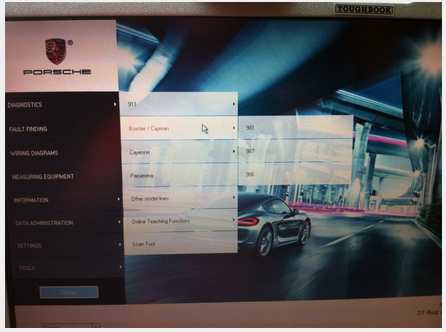 Below are some details screen shot of Piwis tester ii v12.100. So Good luck for everyone, if you still have any questions or comments, please leave your message in this post, i will reply you as soon as possible!